Each summer, I try to pick a drink that I know I'll be able to enjoy when "wine thirty" rolls around....a couple of years ago it was a blueberry vodka/ lemonade drink from my friend's wedding. Last year it was water...because I had just had Grace! 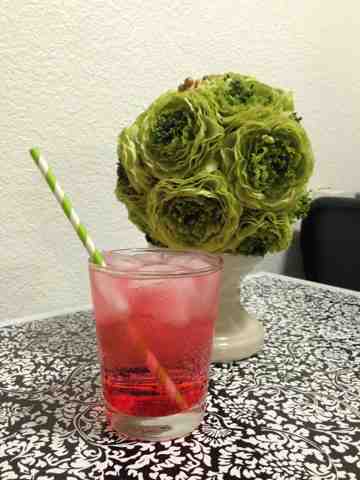 This year, the "Dirty Shirley" is my drink. It's versatile and relatively cheap...2 important components to a good drink. Sprite or 7up to top it off. I think it would be great mixed with some lime and blended. It reminds me of a Sonic Cherry Limeade...mmmm. Happy Victoria Day in Canada and Happy Memorial Day in the US!